I started a completely new and not planned project – I think that is called taking one step backwards! Love, love, love the teapot. I adore the repro Thirty's cottons! 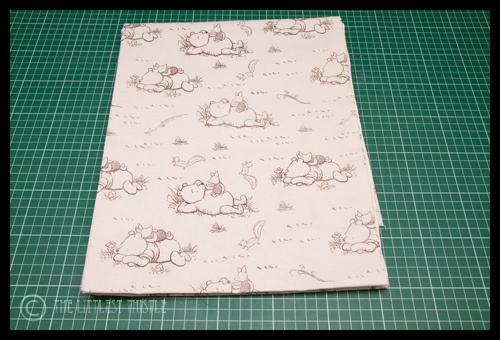 Looks like a lovely teddy in the works!…and who can resist Pooh and Piglet? Your teapot is just adorable! Uuuuhh…a teddy bear!!!! Will we be seeing the finished little fellow? Not much happening here this week either. At least you've made some progress! I see there is slight progress on the tea pot. Love the teapot. My week as been bleurgh but as I appear to have fixed my machine, hopefully things are looking up now. 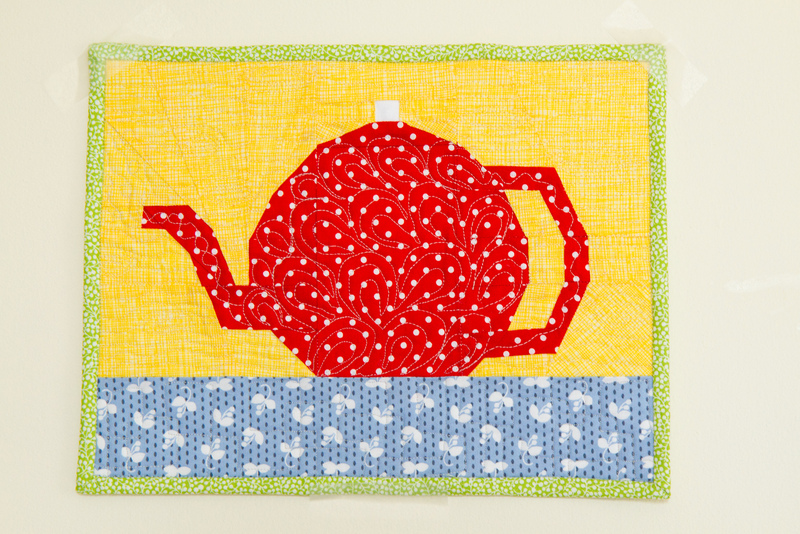 Lovely quilting on the teapot. Without starts….you wouldn't have finishes!